"The future starts in cities: climate action, the future of work, social inclusion and women empowerment are common global challenges that cities are facing, and in addressing them lays the key to the future of humanity", said Horacio Rodríguez Larreta, Mayor of Buenos Aires. In his words, “Many of the issues that are discussed nowadays at the national level are our responsibility. At the end, the responsibility is at the city level, this is why we need to work hand in hand to bring concrete solutions that benefit all”. 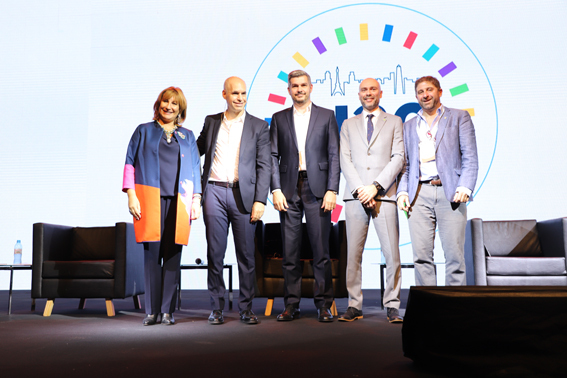 This is the spirit that brought cities from around the world and this is why UCLG, following its mandate to amplify the voice of local and regional governments internationally, has actively supported the Urban 20 process as co-convener together with C40. During the mayors-only exchanges, cities discussed their priorities on climate action, the future of work, social inclusion, and sustainable food systems and women empowerment. 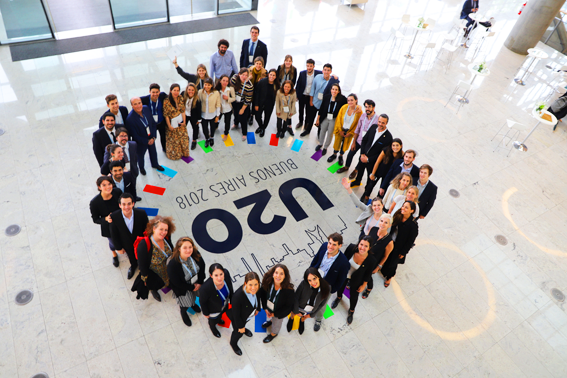 They shared their realities and their vision to the global discussion, and shared their ideas on how to ensure that the voices of cities continue to be brought forward in platforms like Urban 20. President Macri received the joint position from Mayor Larreta during a ceremony where the Argentinian president commended the hard work that cities where doing around the world to ensure the livelihoods of the majority of the world’s populations. He acknowledged that, from his experience as Mayor from Buenos Aires, he could understand the need to renew the international access to financing mechanisms for city infrastructure as a key contribution to address the challenges of the global agendas. He further committed to delivering the messages of the cities to the G20. The Mayoral delegation signalled the historical moment for the constituency and conveyed their commitment to constructively contribute to G20 discussions and willingness to support the agreement of national governments in achieving integration and inclusion, ensuring decent work and stepping up climate ambitions. Cities further expressed their commitment to continue working in this platform towards the G20 meeting in 2019 under the leadership of Tokyo. The Vice Governor of Tokyo, Junko Inokuma, expressed their readiness to take up the baton from Buenos Aires and work in collaboration with C40 and UCLG. The next Urban 20 Summit will take place in 20-22 May in Tokyo. Check the Communique signed by: Beijing, Berlin, City of Buenos Aires, Chicago, Durban, Hamburg, Houston, Jakarta, Johannesburg, London, Los Angeles, Madrid, Melbourne, Mexico City, Milan, Montreal, Moscow, New York, Paris, Rio de Janeiro, Rome, Sao Paulo, Seoul, Sydney, Tokyo, and Tshwane. Read the press release of Monday 29 October. Read the press release of Tuesday 30 October. See the photos of this event in our Flickr.